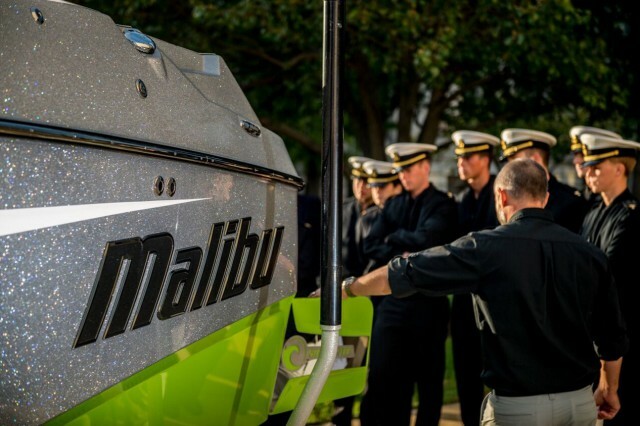 Well before its official market release, Malibu’s new M235 is turning heads, including at the United States Naval Academy, which got wind of Malibu’s latest project and invited the team to trailer the M235 to the Academy to share it with the USNA Weapons, Architecture & Engineering Faculty and Midshipmen. 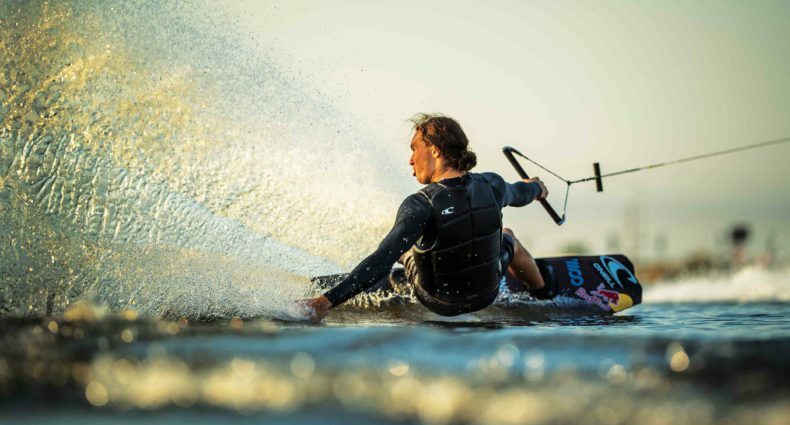 Loudon, TN | November 18 2015 — In August 2015, the Unites States Naval Academy became aware of Malibu’s imminent late-model-year 2016 boat release, the new M235. Malibu was in turn invited by the USNA to bring the M235 and present it as a static display for the students and faculty of the US Naval Engineering & Architecture School. Malibu’s senior product and engineering executives met with student classes and walked them through the M235 in great detail. During these two sessions, the Midshipmen and faculty enjoyed learning about the science behind, and the purpose-driven design of, Malibu’s unique hull structure and watersports technology. In addition, Malibu CEO Jack Springer was asked to speak at the Naval Academy’s Fall Bock Lecture. To read the full story, visit malibuboats.com/m235usna.